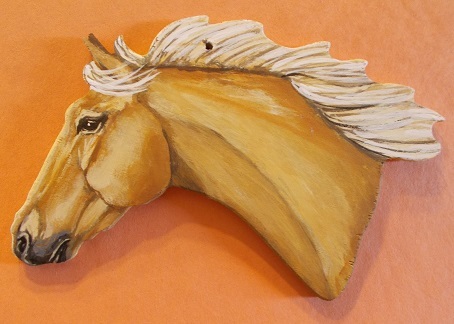 Description: This custom ornament is cut from wood, sanded, then painted like YOUR horse from a picture you provide. YOUR horse will be painted on one side & your horse's name and the year or other text may be added on the back side. Choose the FACING RIGHT or FACING LEFT pose. See larger photo for styles. Sealed with a water based varnish. Please allow 2-3 wks. We will send approval photo before shipping.